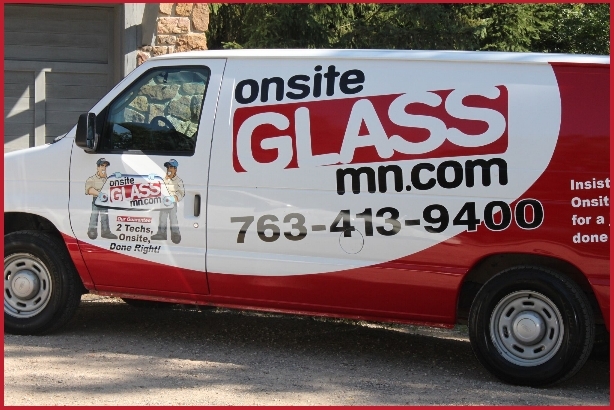 Since 2000, Onsite Glass has been providing Twin Cities area residents the finest auto glass repair and replacement services. We're trusted by thousands of customers and Minnesota's insurance agents. 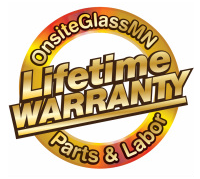 Stronger repairs, better technology and our customer satisfaction guarantee are just a few of the reasons Twin Cities area residents use Onsite Glass for auto glass repair and replacement services. At Onsite Glass, our residential glass repair and replacement services make your home safer and look better. We can fix everything from a simple piece of cracked glass to replacing an entire glass window from the neighbor kid’s baseball! Commercial glass repair and replacement in the Twin Cities is a featured service at Onsite Glass. We’re happy to work with contractors and business owners and managers for all their commercial glass repair and replacement needs. Our service comes with our customer satisfaction guarantee. In most cases, Onsite Glass will install or repair your glass the same day. We will come to your home or office for all your glass needs. Safety is our #1 concern, with two tech crews we make sure the job is done right. We’ll then work with your insurance company on your behalf for all claims processing issues. Have the piece of mind the service we provided will be done right. Our technicians are certified to ensure all your repairs are safely completed. 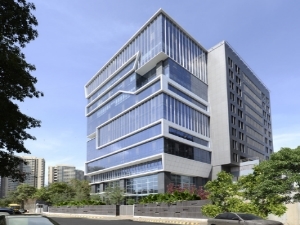 With a 24/7 call center, Onsite Glass will help you through the process of repairing or fixing your glass. Serving Twin Cities area drivers since 2000. 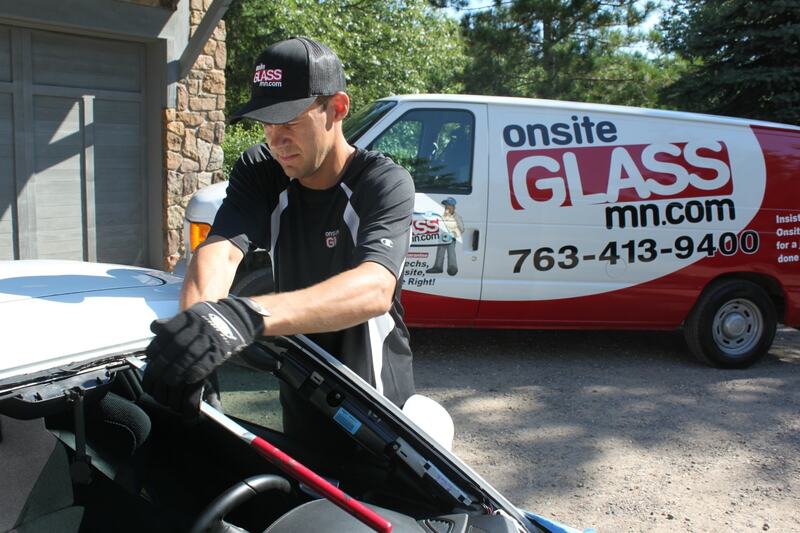 Since 2000, Onsite Glass has been providing Twin Cities area residents the finest auto glass repair and replacement services. 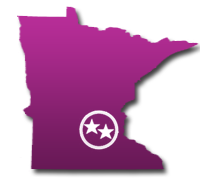 We’re trusted by thousands of customers and Minnesota’s insurance agents. 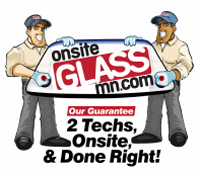 Our family owned and operated Twin Cities area auto glass repair company is committed to your safety and convenience. From front and rear windshields to side glass, our Twin Cities area auto glass repair service will come to your home or office. Whatever your auto glass needs may be, we can help you. 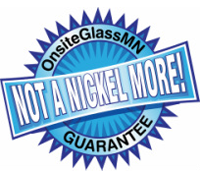 We even provide home and business glass repair and replacement services, again in the Twin Cities area. Serving the Minneapolis, St. Paul and surrounding areas within a 35 mile radius. We are looking forward to fulfilling all your glass needs! 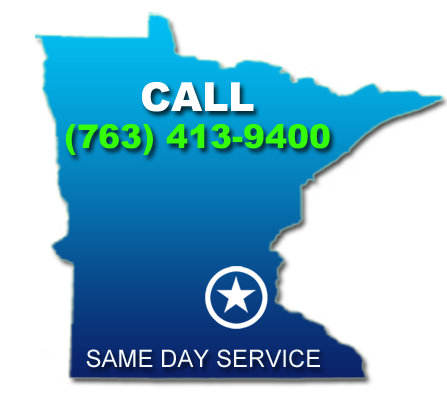 We provide mobile auto glass replacement and repair services within a 35 mile radius of the Twin Cities. All done at your home or office!